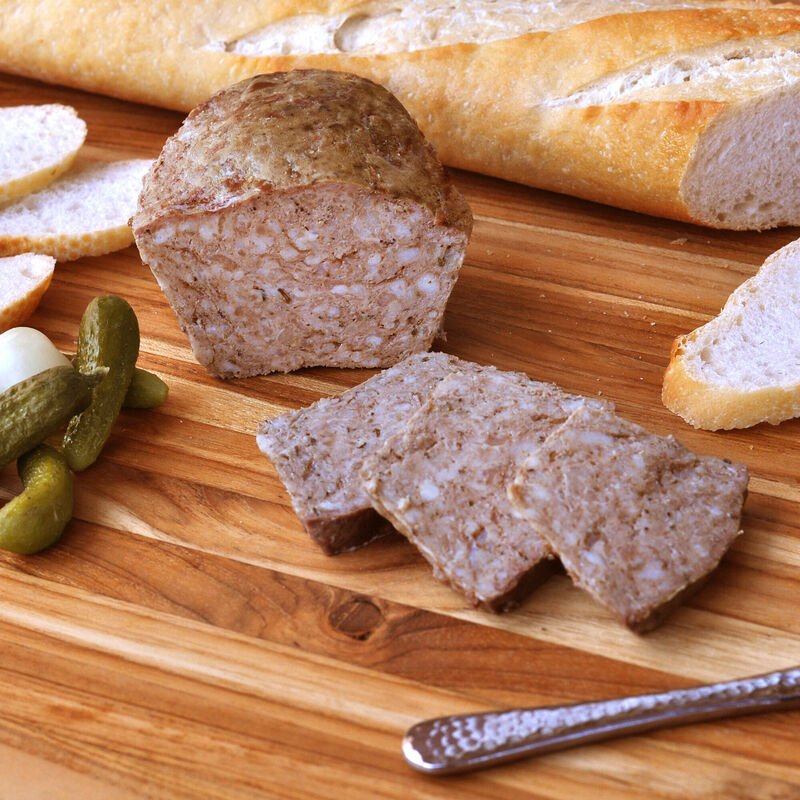 Rustic pâté made from heritage-breed pork raised on pasture, without antibiotics or hormones. Made with all-natural ingredients in the traditional French way, this pâté is a must-have item for a charcuterie plate or dinner spread and makes a perfect foil to grainy mustard, cornichons, and a fresh baguette. Since you can stock it away in the refrigerator for up to a month, pâté is an excellent standby for the gourmand host to have on hand for an instant party—and what could be easier? Serve it sliced on a board loaded with other D’Artagnan favorites, like our saucisson sec and jambon de Bayonne, add some cheeses and crackers et voilà—instant hors d’oeuvre.